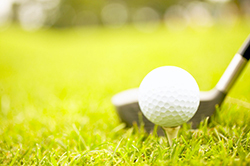 The HBA Sales & Marketing Council Golf Social has returned for a second year! Meet us on the greens for some fall fun, beer, BBQ and golf. All HBA members are welcome to attend. Golf/Dinner and dinner-only tickets are available for purchase. Click here to view the detailed event flyer and registration form. Note: Online registration is not available for this event. Please contact Jessica Hedges at HedgesJ@hbastl.com or 314-817-5611 for more information, with questions or to sponsor.